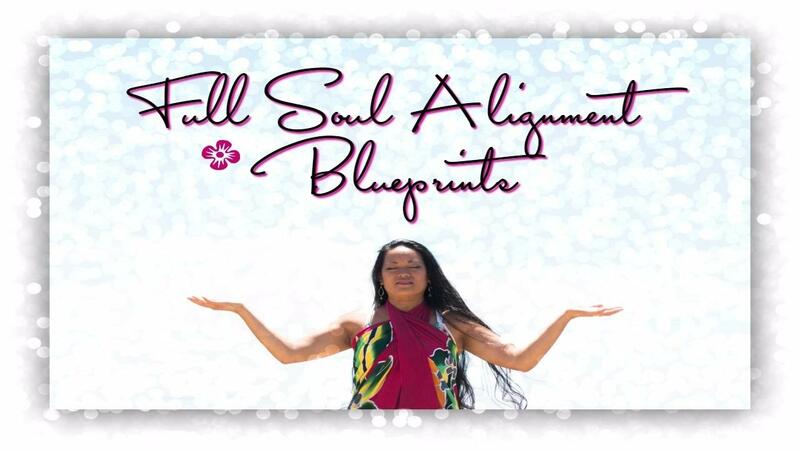 Full Soul Alignment Blueprints™ with BONUS Clearing of Your Choice! Do you know what your super power is? Recently, I became misaligned by a coach, where money stopped coming in for 2 months. It was the scariest thing for me not to be able to speak through my soul's voice. It was like a switched turned off and I couldn't speak the right message to my audience. So...no one was responding. I worked hard, probably 10 times as hard! I was marketing and talking all day to potential clients, but nothing was sticking. I seriously got to the point where even crying didn't help any more, as I couldn't feel my heart. I felt stuck and my heart was broken. Have you ever reached this point? Previous months were easy, money was flowing in, media opportunities were coming, and everything seemed effortless...but I didn't realize how misaligned I was. I was aligning too much to my life challenge of Power, and not my primary super power of Love. Life challenges are the results and skills that people receive from us when we are in our super power. This is when I discovered that we actually have our own main super power. While taking a walk on the beach, I realized that when you align to your super power, ALL abundance flows to you! When you align to the life challenges only, it takes 10 times more effort, and in the end, no one hears you. Closing sales takes more time and you feel overwhelmed and exhausted. NO MORE HUSTLE! Smart, ALIGNED action to your SUPER POWER is the SECRET TO SUCCESS!!! Believe me, I took that route as a Psychic Monk. I was aligned with my life challenge of Creation, working 7 days a week with no vacations because I thought I needed to work hard. I found that overworking yourself NEVER leads to soul alignment, it just makes you suffer more than is necessary! My dear friend, Antonina Andreeva, says it beautifully..."When you are aligned with your superpower, you start feeling in the flow. Smart aligned action is all that is needed, meaning you give yourself time freedom and live more in the moment!" ❤️ I have taught her how flow really is the answer. So, are you ready to discover your superpower? Do you want to be aligned so that abundance can flow and you can move forward? With your permission, and just a few bits of information, I will look up your Full Soul Alignment Blueprints by accessing your Akashic Records psychically...we don't even have to speak on the phone! You will then receive several detailed explanation recordings and a PDF file of your FULL Soul Alignment Blueprints within a few days via email (please make sure you check your spam if you do not receive your email). This will give you a complete overview of who you are at soul level, who you are meant to help, why you do what you do, what your niche is, and how to attract your specific community and tribe. You will then be added to my private Facebook group, where you can ask questions and receive support from my staff and community at any time. You can ask any questions you have specifically about your blueprints or your bonus clearings in the Facebook group. More details will be provided in your welcome email. If you would like to receive your Full Soul Alignment Blueprints with Bonus Clearing now, it is just one payment of $997! “Receiving my soul alignment blueprint and learning about my True Super Power was an absolute game changer for me! Finding out that I'd been operating from my Life challenges (power and love respectively) for most of my life made so much sense in terms of why there were tons of ups and downs. My Self Expression Superpower on the other hand was something I'd avoided at all costs due to fear and apprehension. Once I started working with Leimomi, I made a decision to move through the discomfort of functioning from my super power and almost instantly was able to feel and experience the incredible bliss of ease and flow that came from acting in my Superpower. It takes practice and I'm still learning as I go along, but it's so incredibly worth it! Thank you so much Leimomi - this was exactly what I needed to start taking the next best steps forward in literally all areas of my life!" "Discovering my Super Power and Life challenges and finding the order of them was so fascinating. It was a huge weight off my shoulders as it made it really easy to see how I had been forcing myself into misalignment because I believed it was something I had to be doing. It gave me so much confirmation about who I am, how I work best, and really gave me the freedom to behave accordingly and know that I don't have to follow what I've always been told in order to manifest what I want in my life! My Super power is creation and now I know when I am starting to struggle or feel misaligned, I go back to creation and everything falls into place." Knowing your super power in greater detail and how to form your business model aligned to your soul will help you remake your packages and services to efficiently monetize your gifts. After listening to your recordings, you will be added to my private Facebook group, where you can ask me further questions about your Blueprints any time, in addition to receiving an email invite to attend live group calls. These Blueprints will give you so much clarity on where to focus in your business! This valuable package is like doing an intensive private session, which will save you time and money, and it will last your lifetime. This is PRICELESS! GET YOUR BLUEPRINTS with Your Choice of BONUSES by selecting your offer and clicking "PURCHASE OFFER" NOW! A Note About the Offers: There are 4 distinct kinds of offers available - business, personal, or couples, and each of them include a shell or financial bonus clearing. You can also purchase a business or personal offer without any bonus clearing. The blueprints were specifically designed for business owners, however, if you do not have a business, you can opt to choose the "personal" blueprints, which are designed more for discovering your spiritual and success mindset and growth. The blueprints for "two" (couples) can be for yourself and a family member or friend, and can specifically be for business or personal, or one of each. When opting for the blueprints for couples, please make sure to reply to the welcome email with the specific type of blueprints you prefer to have (two business, two personal, or one of each). In addition, please note that these offers do NOT include a psychic medium call (where we talk live). You will have an opportunity to attend live group calls and will receive an email invite. This is also not a business coaching deep-dive intensive, where we do problem solving. These blueprints and recordings provide a remembrance and explanation of who you are, so you must listen with an open mind and sincerity from your heart, not your head. This is not a "quick fix," but just the beginning step for discovering your soul. Real soul alignment is a process that takes time to reprogram your life, because operating from your life challenges instead of your super power requires effort to figure out what actions you are choosing to take that are keeping you disempowered. My goal is to guide you to the path, not create the path for you, as YOUR soul alignment is the key to YOUR success! If you have any questions about choosing the correct offer for you, please send an email to Edward Heilbron at [email protected]. Due to the fact that the clearings, attunements, and intuitive guidance are life changing and priceless, there are no refunds. The service itself is designed to help you discover your "divine soul blueprints," even if you don't understand how to use this now or in the coming months or years. It may take a long period of time before you understand more about how this soul aligned manifestation method works. There is also no guarantees that you will have any particular results or manifestations during the time frame of the program. It's all about doing the work and experimenting that will yield your results. When you purchase, you will also allow Leimomi Keliikuli to collect any testimonials or use your stories of awakening that she deems as good to use for the betterment of this program or for future help in your manifestations in the program. All material from Leimomi Keliikuli is copyrighted and you shall not have the rights to use these in your business offers or personal related endeavors. This material in the program is strictly for your own personal use and spiritual development. They are prohibited from being copied or distributed.